CTS 450G Guitar Series 250k volume and tone control potentiometer. These are the low rotational torque version which has a reduced amount of friction to the rotation, not too little and not too firm, these are perfect. 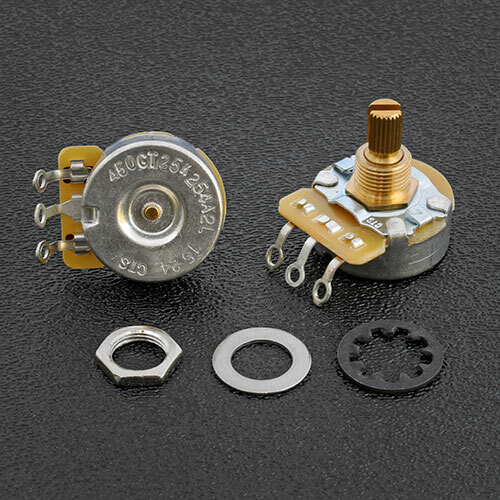 The 450G series are same popular potentiometers used in guitars for many years. Brass Bushing & Brass Shaft. 24mm Case Diameter, Vintage "Dimple" Bottom Style.